Voles, much like other small rodents, are never welcome guests in or around your home. Sometimes referred to as meadow mice or field mice, these little critters can do a lot of damage in your lawn and garden. That’s why it’s important to learn how to get rid of voles. These burrowing, mouse-like rodents with a rounded muzzle are shy creatures that measure 3.5 to 7 inches in length. “Voles are frequently confused with another common landscape pest, moles,” explain experts at the UMass Extension Turf Program, an extension of the UMass Center for Agriculture, Food & the Environment. “These two species are in fact completely unrelated. 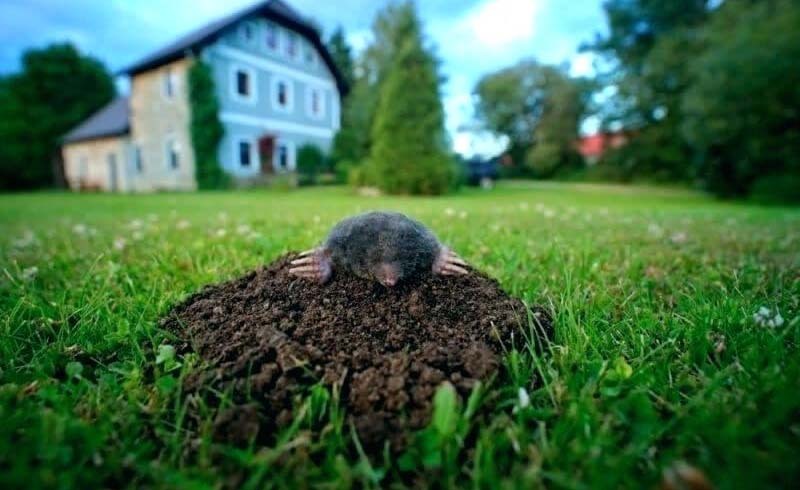 Moles spend nearly all of their time beneath the surface of the soil, excavating and navigating a network of tunnels which can be very disruptive to the turf surface. Aside from time spent in underground burrows, voles accomplish much of their scavenging and feeding above ground.” And that’s where the problem with voles begins. If you notice a “runaway” route on your grass (a path where the grass has been flattened), it’s likely caused by the constant traffic of voles at work. Your first move is to eliminate the environments that are attracting the voles in the first place. They love excess brush and mulch, stacks of wood, tall grasses and leaf piles. They love fallen pine needles and indulge in fallen fruit. Be sure to clean up such messes as quickly as possible to remove nesting areas and food sources for the voles. If your garden is taking an unexpected hit, with plants suddenly beginning to droop, that can also be a sign of a vole problem. Protect your hard work by installing a fence. While voles are good at eating your crops and damaging your lawn, they’re not winning any awards for climbing. “Protect your plants by fencing the area with a half-inch of mesh (hardware cloth), at least 12 inches above the ground and buried 6 to 10 inches deep,” suggests The Old Farmer’s Almanac. You could also try relocating them. 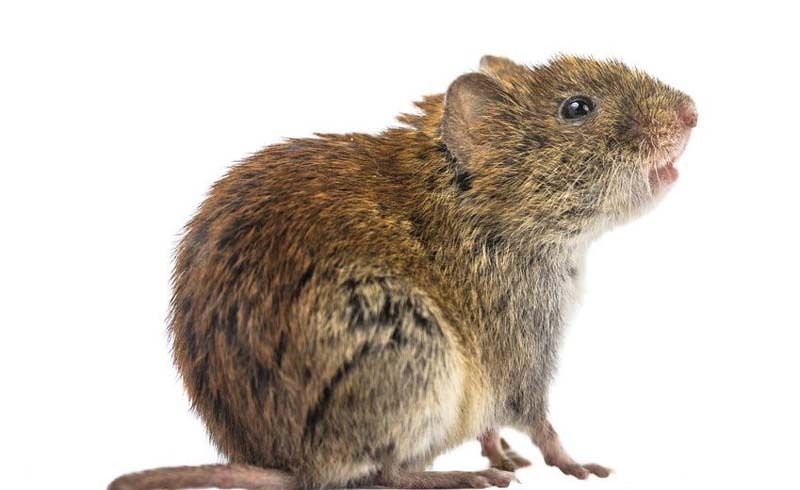 “Some vole trapping experts say that placing 12 to 24 vole traps for two to three weeks is the only way to make a dent in your vole invasion, explains Havahart, a leading manufacturer of wildlife control products. Be sure to place the trap where you see the activity, and use bait like bread and butter, small nuts, cherry pits, oatmeal, sunflower or similar seeds, mixed peanut butter and oatmeal or gumdrops around the traps. Finally, try natural deterrents. Voles despise the smell and taste of castor oil. They also hate capsaicin—the compound found in peppers that makes them taste hot and causes stinging. Make a capsaicin spray with water, hot pepper flakes or chopped hot peppers and biodegradable dish soap. Follow these steps. Spray either substance on your lawn and plants. You can also purchase coyote or fox urine. Either scent will notify the voles that a predator is in their presence, scaring them off.